The sun is as bright and proud as on any other Wednesday. The glass in my hand boasts cloudy it’s India Pale Ale persuasion, and the taste is that hoppy glorious goodness shared by all truly great American style IPAs. “Another IPA,” I ask of the bartender, a tall, blond and busy woman working a crowd of maybe fifteen all on her own. Pisgah IPA, to be precise, and I’m extremely satisfied as far as the color, flavor, and alcohol content goes. IPAs are hit or miss, and after having grown quite incredibly accustomed to Stone Brewery’s varieties and the bitter bold flavors of Oregon’s Ninkasi IPAs and Inversion, I have to admit that this is one of the better ones I’ve ever tasted. I have to admit though, it could be the general ambience and persuasion of the crowd that has me feeling particularly happy, even if the alcohol is only beginning to start working it’s way through my system. Beer in hand and cash-only payment made, I turn from the massive wooden bar lining the western side of Pisgah Brewing Company’s tap room—a large room located directly in the warehouse where they make the beers themselves, decorated with a small stage for local bands to play typically cover-free indoor shows, paintings by local artists and an organ covered in flyers touting upcoming shows and charitable events alike, and not much else—to head through the big rig sized garage doors that lead out to the patio area. Hippies and hipsters alike gather around a few picnic tables placed randomly around the stone floor. A fire pit in the corner is already lit and blazing still several hours away from dusk and a family with two young children, baby in tow and toddler climbing over the small wall separating the walkway to the field out back which plays host to larger bands like the Jerry Garcia Band and Toubab Krewe and local festivals alike. Ivy drapes the outside warehouse walls and lends a little nature to an otherwise urban factory setting. The brewery is thirteen miles east of downtown Asheville, and though the city has been named “Beer City” several years in a row and boasts some dozen or so local breweries, not to mention the soon to open Sierra Nevada eastern brewing facility, Pisgah is the best of the local bunch, even if it’s not technically in the city’s limits. A friendly crowd, knowledgeable bartenders, and an outdoor area where children, dogs and drunks alike mingle in harmony, all add up as the perfect compliment to the certified organic brews. A tall, skinny man, early-40s if I had to guess, with long dirty blonde hair, emerges from a small room behind the patio, and before he closes secure the door behind him I catch a peek of the pool table and couch inside. It’s too bad that the room is reserved for bands playing the venue instead of being open to the public, as it might be home to the only pool table in Black Mountain. As he disappears into the taproom, I watch as a balding, short guy wearing a checkered button up shirt adds himself to a small crowd sitting around the designated smoking area just behind the fire pit. Laughs erupt and another gentleman pats him on the back as he reaches into his pocket and not soon after the distinct aroma of marijuana lingers across the patio. No one, neither bartenders nor the parents with their young children, seem to mind. Black Mountain used to be, like Asheville now is, a mecca for old hippies from all over the South, after all. The night wears on, and being a weekday, the bar begins closing up a little before 9. On the weekends the beverages will flow until midnight or so. We happen to know the bartender on duty for the second shift, and she asks us to hang around a little while as she closes up. After the crowds thin out and we’re the last ones left in the building, the brewery definitely shows it’s warehouse setting, and as I walk back to use the bathroom I can see why the bartender might be not just a little concerned for her safety, dimly lit hallways and who knows who might be lurking out here in factory land. But she finally closes up and we all leave without incident, though it should be noted that more than one police cruiser was parked along Old US Route 70, which leads back to town. You don’t have to make the trip to the brewery to enjoy some of Pisgah’s libations, though. 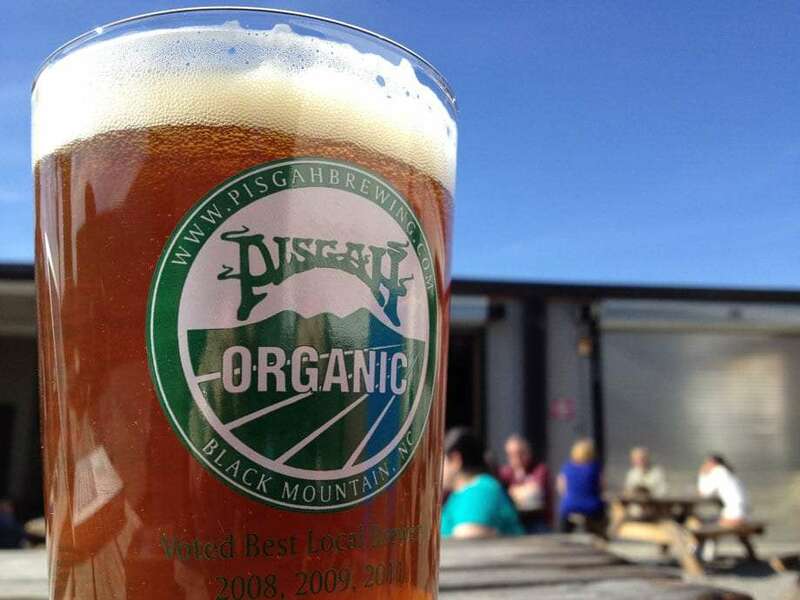 Pisgah Pale, the company’s flagship offering, can be found in nearly every local restaurant, and even at some chain stores like Pizza Hut, all over Asheville and Western North Carolina in general, though the company stoutly refuses to sell it’s brews outside of the larger WNC area. Still, making the trip out is well worth it, and there’s even a party bus that leaves Asheville headed to the brewery’s location. If you’d prefer to stay in town though, the possibilities aren’t lacking. 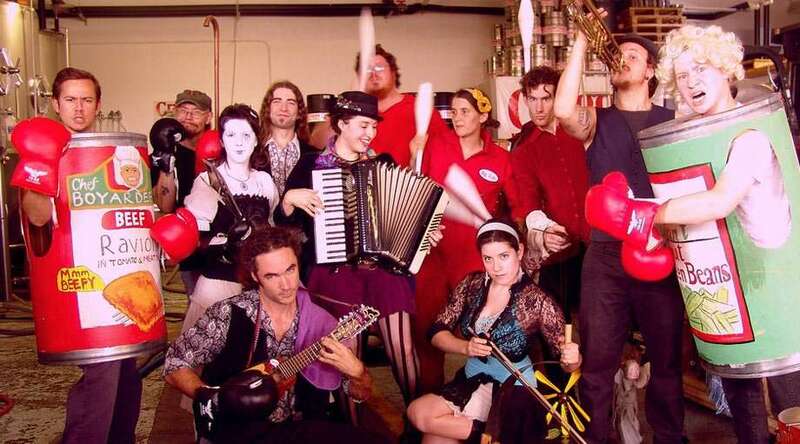 Occasional comedy acts keep the crowds laughing in the backroom of the Lexington Avenue Brewery, aka the LAB and located, as the name implies, smack dab in the middle of downtown Asheville’s Lexington Avenue. Their IPA is “English-style” though, and while the jokes in the backroom were hilarious and the atmosphere of the place was busy and fun, without a truly hoppy IPA I don’t see me heading back through the doors during our stay here. Tucked behind Asheville Brewing Company, almost as though purposely hidden, is Craggie Brewing, a completely different experience. A garage door is the entryway to what feels like a friend’s garage: plastic chairs randomly arranged as particular groups see fit, nearly everyone doing “flights”, 5 oz. taste testers of the current beers on tap. Zaq Suarez, the bartender who’s specifically invited me over to give me a couple of CDs his band The Hermit Kings has put out, gives every last customer a rundown of the available beverages, apologizing again and again for their IPA, a mango-infused concoction, having run out. At $3 or $4 a pint, Craggie is the cheapest of all of the breweries, but I get adventurous and try their house ale, named Toubab Brewe after the nationally-known local band of a similar name, and even with my IPA-only please snobbery, I’m quite satisfied. A young couple comes in and Zaq introduces me, the two having moved from Savannah, GA a year ago in search of a change of pace, and quite happy with their decision. Shortly after, a fuzzy-haired and scantily bearded kid introduces himself to the bartender as Yoshi, and Zaq obviously knows him as he starts showing him where the best spots to put up his flyers would be. Zaq’s not only the bartender, he books in a lot of the breweries music. Band’s who get a chance to play here will find themselves on a small stage, nearly part of the onlooking crowd, getting paid largely in beer and tips. Ah, to live the dream. 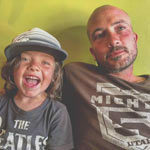 Zaq begins to tell me of his most recent favorite encounter with travelers through Asheville. A rowdy bunch gather in Craggie's main room, which serves as a stage, the brewery itself, and a good place to have a beverage or three. “This kid comes in and he looks nice enough but his hands are all dirty,” Zaq is a big guy, and I’m not sure if the bartender’s floor is higher than the one my stool is positioned on, but I have to look way up at him. Combined with his natural charisma and outgoing storytelling suave, I can’t help but loving the story even before he gets to the second sentence. “So I tell him yes—I’m not going to say no—but I ask him ‘why? '” A customer walks up and orders a flight, Zaq takes a moment to fill the glasses and explain which order to go about drinking them in for optimal tasting. “But yeah,” he gets back to his story, “I ask him ‘why?’ and he says ‘We just killed a possum! '” I picture a kid with no shirt and acid washed overalls, and can’t help but laugh at the “southernness” of it all. “Apparently,” he goes on, “they had chased this possum up a tree and killed it and were trying to sell it around town. “But he comes in again, and leaves, and then he comes back a third time with a guitar and asks if we ever have any music. I told him, ‘yeah, usually, but the guy playing tonight cancelled on me last minute so…’ and he says he can put a band together and would play for a little cash and beers.” He goes on to tell me that the kid was part of a group of traveling buskers and they ended up staying in Asheville for awhile, putting together a show by just making a few calls every week to check on the passers-through network. The rain starts coming down in buckets and the brewery begins to fill up, so I leave, not wanting to take up too much more of Zaq’s time. He shakes my hand and tells me to be sure to come back and see him again. And I can’t imagine I won’t. If Pisgah is the coolest brewery around with the best beer and biggest bands, Craggie is the young upstart throwing a show in their garage where you feel like you’re at a party and can really relax. Their session beers—coming in at mostly around 4.7% or so ABV—let you drink a lot without ending up in a “what happened?” moment the next morning, or as they put it “our beers complement your night, not dominate it.” Drinking all night and keeping your wits about you? Sounds like a plan to me.